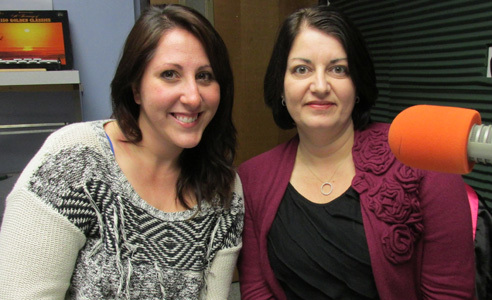 Jennifer Spagone and Corinne Mason, from Massasoit Theatre Company are guests on this episode of Monday Night Talk! 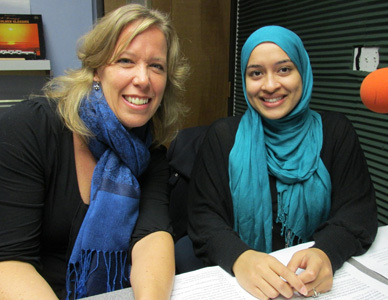 Jennifer and Corrine discuss the upcoming show, A Christmas Carol, which is set to hit the stage for three weekends or 7 Shows, starting on November 29. Jennifer, who wrote the stage adaptation with Nathan Fogg and also designs costumes for the show shares the process of adapting Charles Dickens story to make it their own version. Corinne, who is the director and choreographer takes a look at the cast and work that's gone into putting the show together. To get more information about the show or purchase tickets, visit Massasoit Community College's website: www.massasoit.mass.edu/buckley/shows.cfm. Do you have an topic for a future show or info on an upcoming community event? Email us at mondaynighttalk@gmail.com or "like" and post a comment on our Facebook page: www.facebook.com/mondaynighttalkon959fmwatd. If you're a fan of the show and enjoy our segments, you can either download your favorite segment from this site or subscribe to our podcasts through iTunes today! Ken Mitchell, a candidate for Hanson Selectman is a guest during this segment of Monday Night Talk! 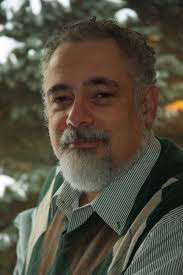 Ken is joined by Whitman Hanson School Committee Chairman Bob Hayes, who discuss the recent resignation by Hanson Selectman David Soper and what some of the issues are in the race. Do you have an topic for a future show or info on an upcoming community event? Email us at mondaynighttalk@gmail.com or "like" and post a comment on our Facebook page: www.facebook.com/mondaynighttalkon959fmwatd. If you're a fan of the show and enjoy our segments, you can either download your favorite segment from this site or subscribe to our podcasts through iTunes today! 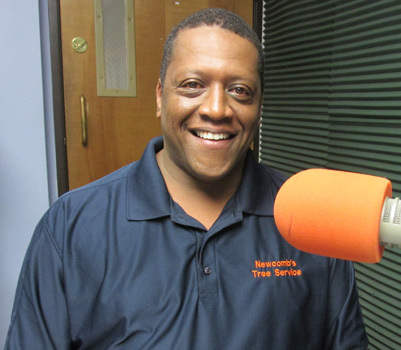 Local business owner John Merian is a guest during this episode of Monday Night Talk! John, who heads up the Brockton Holiday Parade Committee discusses the kick off of the USA Christmas Town festivities, starting with the November 28 tree lighting and Santa Hat Challenge. 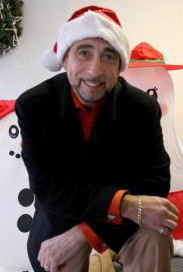 To learn more about the city of Brockton's efforts for USA Christmas Town, visit their website; www.usachristmastown.org/. Do you have an topic for a future show or info on an upcoming community event? Email us at mondaynighttalk@gmail.com or "like" and post a comment on our Facebook page: www.facebook.com/mondaynighttalkon959fmwatd. If you're a fan of the show and enjoy our segments, you can either download your favorite segment from this site or subscribe to our podcasts through iTunes today! 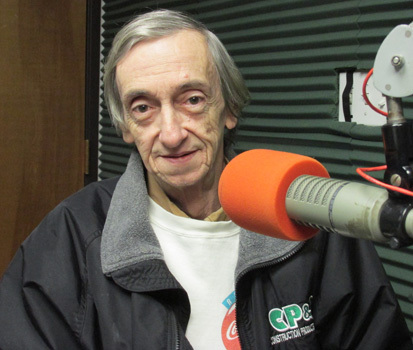 Steve Roy, a historical researcher who specializes in JFK's assassination is a guest on this segment of Monday Night Talk! Steve discusses some of the myths and facts surrounding the assassination of President John F. Kennedy just days from the 51st anniversary of historical event. Do you have an topic for a future show or info on an upcoming community event? Email us at mondaynighttalk@gmail.com or "like" and post a comment on our Facebook page: www.facebook.com/mondaynighttalkon959fmwatd. If you're a fan of the show and enjoy our segments, you can either download your favorite segment from this site or subscribe to our podcasts through iTunes today! Juliane Soprano is a special guest on this segment of Monday Night Talk! 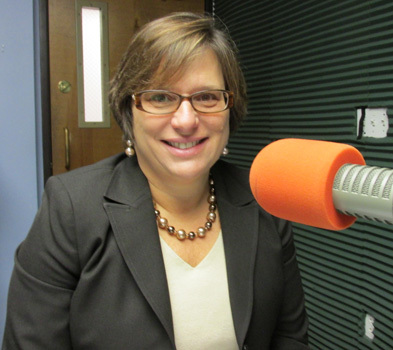 Juliane, who has offices in Falmouth, Plymouth and Dennis, discusses the services her law offices provide in the areas of Workers’ Compensation, Social Security Disability, Public Retirement and Unemployment Benefits. To learn more about the law offices of Juliane Soprano, visit their website; www.julianesoprano.com. Do you have an topic for a future show or info on an upcoming community event? Email us at mondaynighttalk@gmail.com or "like" and post a comment on our Facebook page: www.facebook.com/mondaynighttalkon959fmwatd. If you're a fan of the show and enjoy our segments, you can either download your favorite segment from this site or subscribe to our podcasts through iTunes today! 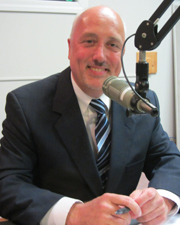 Brockton Mayor Bill Carpenter is a guest once again for this episode of Monday Night Talk! Mayor Carpenter, who is on every few weeks, calls in to discuss several topics including the latest plan to protect pedestrians, a recent rabies outbreak, the November 4th election results, the Veterans Day Parade, upcoming plans for Thanksgiving, Santa Hat Challenge/tree lighting ceremony and the Holiday Parade. Do you have an topic for a future show or info on an upcoming community event? Email us at mondaynighttalk@gmail.com or "like" and post a comment on our Facebook page: www.facebook.com/mondaynighttalkon959fmwatd. If you're a fan of the show and enjoy our segments, you can either download your favorite segment from this site or subscribe to our podcasts through iTunes today! Members of Marshfield Community Television are guests for this segment of Monday Night Talk! Dr. Joe Shrand, President of the Marshfield TV's Board of Directors and Executive Director Jonathan Grabowski stop by to talk about the PEG Access Channel's move from its old location to its new state-of-the-art studios at the new high school. 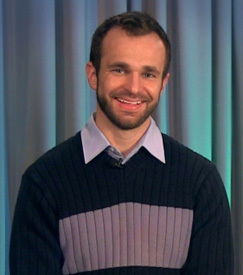 To learn more about Marshfield TV, visit their website; www.marshfieldtv.org. Do you have an topic for a future show or info on an upcoming community event? Email us at mondaynighttalk@gmail.com or "like" and post a comment on our Facebook page: www.facebook.com/mondaynighttalkon959fmwatd. If you're a fan of the show and enjoy our segments, you can either download your favorite segment from this site or subscribe to our podcasts through iTunes today! Linkie Marais, finalist for Season 8 of Food Network Star is a guest on this segment of Monday Night Talk! 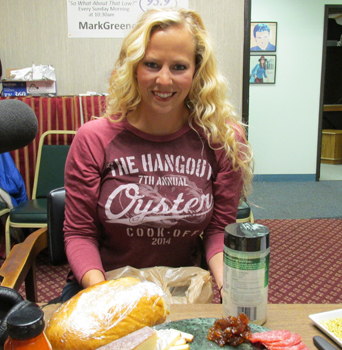 Linkie stops by the studio to discuss her trips to various food festivals like the recent Oysterfest in Alabama. She also provides insight on the upcoming Thanksgiving Day holiday, shares some in studio cheese snacks served with wine. To follow what Linkie is doing with her culinary skills, visit her website: linkiemarais.com/. Do you have an topic for a future show or info on an upcoming community event? Email us at mondaynighttalk@gmail.com or "like" and post a comment on our Facebook page: www.facebook.com/mondaynighttalkon959fmwatd. If you're a fan of the show and enjoy our segments, you can either download your favorite segment from this site or subscribe to our podcasts through iTunes today! 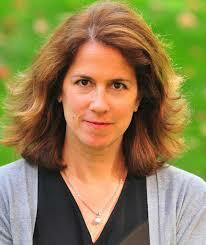 Author Sarah Albee is a guest on this episode of Monday Night Talk! 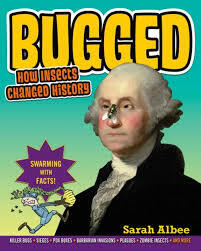 Sarah, who writes books for kids, ranging from very young toddlers all the way up to 12- or 13-year-olds, discusses her latest book, "BUGGED: How Insects Changed History." She also gives a preview of next release, "Why'd They Wear That?" To learn more about Sarah and some of the work she's done, visit her website: www.sarahalbeebooks.com. Do you have an topic for a future show or info on an upcoming community event? Email us at mondaynighttalk@gmail.com or "like" and post a comment on our Facebook page: www.facebook.com/mondaynighttalkon959fmwatd. If you're a fan of the show and enjoy our segments, you can either download your favorite segment from this site or subscribe to our podcasts through iTunes today!